If you’ve lived in a house for your entire life, the idea of living in an RV full-time can be daunting. 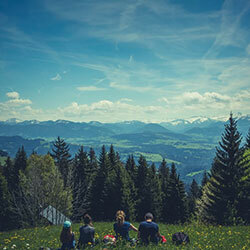 But with the right strategy and mindset, being an RV nomad can be enlightening and exciting. Here are a few reasons why living out of your RV might be a great choice for you. Living out of your RV makes last-minute adventures easy. Living in an RV full-time is the definition of flexibility and last-minute adventure. Want to see a wedding across the country? Drive there in your home. Aching for some sun and sand in January? Drive there in your home. 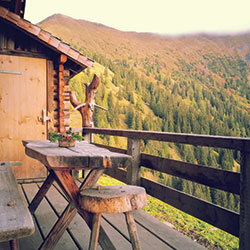 If you find an exciting spot en route to your destination, stay awhile—no hotel rooms needed. Living in an RV, you’ll always be in complete control of your life and your journey. When the next journey comes around, you’ll be ready to hit the road at a moment’s notice—and you won’t even have to pack any bags. Living out of your RV is safe and comfortable. It doesn’t matter if you’re in the bear-infested wilderness or alligator-infested swamps. Wherever you go, your RV will be safe and secure from anything nature throws at it. Hot or cold, rain or shine, you’ll be enjoying yourself, shielded from the elements. 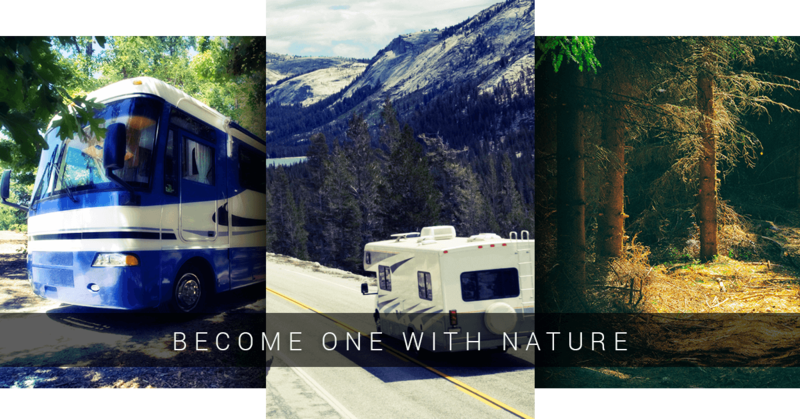 With an RV, you can lock it up and become one with nature, or hide away and protect yourself from nature. The choice is yours. Living out of your RV can boost your financial comfort. In order to live in your RV full-time, you might want to ditch your house or apartment. Fortunately, there are a number of ways to take this step toward your on-the-road lifestyle—all of which have solid financial benefits. If you rent a home or apartment, leave it at the end of your lease. All the money you saved up to pay rent could go toward your RV adventures. If you own a home, selling it could potentially net you cash for travel expenses, RV repairs, or anything else that makes your RV lifestyle comfortable, lavish, and exciting. If you’d rather not sell your home, rent it out while you’re on the road. While you’re enjoying life in your RV, the tenants in your home will be sending you monthly checks for years to come. These are just a few ways to generate income that supports your adventures in your RV. Just remember a key rule of the expert traveller: Don’t spend all your money in one place. But when the RV starts to feel cramped, and all the traffic gets on your nerves, it’s nice to have a place to call home. That’s where The Preserve of Texas can help. We offer luxurious and spacious RV homesites at fraction of the cost of a home. These homesites drive you away from the hustle and bustle of the road and into the beautiful landscapes and amenities of our one-of-a-kind destination. When you need break from being a road warrior, retreat to your personal homesite, spread out on your Texas-sized lot, and invite your friends and family to enjoy it with you. That’s what home is all about. Contact us today to schedule a tour of our Cleveland RV resort, and get started on the road to freedom and flexibility!